The Lake House is perfect for families with small children as the lake is fenced from the house with a glass pool fence. 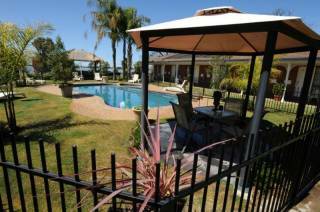 Luxury waterfront property in Central Yarrawonga. Much sort after location in Irvine Parade. 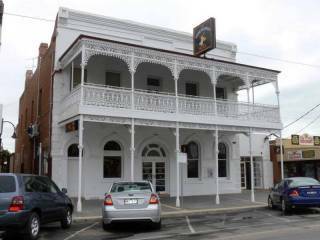 Walk into Yarrawonga or across the bridges to Mulwala. Private jetty to the lake foreshore. Located in the protected area between the bridge and weir. The house can be rented for 12 guests, or include the 2 bedroom unit should you have 16 guests. The separate unit offers 2 bedrooms (queen bed and 2 singles), master with lake views, bathroom, full kitchen, separate entrance and TV. Double carport and plenty of off street parking. Beautiful gardens and outdoor seating to enjoy the views. Waterside alfresco area with BBQ and table seating for 10. Table tennis and arcade basketball game. Rental of this property is for domestic holiday purposes only. Parties and functions are not permitted. Bookings made contrary to this, will result in the loss of security bond. Tents are strictly not permitted. The maximum number of guests permitted at this property at any one time is 16.